Democrat Kyrsten Sinema works hard building strong bipartisan relationships to get things done for her Arizona constituents. Democrat Kyrsten Sinema won her first election to represent Arizona’s newly drawn 9th Congressional District in Congress in 2012 by 4 percentage points over her GOP opponent. That slim 2012 election victory suits Sinema, whose political career has been defined by crafting partnerships and bipartisan solutions that work for all of her constituents, not just those that voted for her. 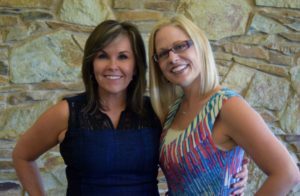 During August’s Professional Women’s Alliance luncheon, Sinema provided insight into her approach to getting things accomplished on Capitol Hill, how educational opportunities lifted her from a life of poverty and advocated for more women to serve in Congress. Sinema’s path to public service began with doing social work in Sunnyslope. There, she saw families trapped in a cycle of poverty and decided that she needed to do more. Sinema was first elected to the statehouse in 2004, and has been successfully reelected to higher positions in each election since then, including a stop in the Arizona Senate before her first successful run for Congress in 2012 and reelection in 2014. Sinema’s effective bipartisan approach was bolstered recently by her colleague and friend, Republican Congressman Matt Salmon, who represents the East Valley-based 5th Congressional District. The two were the featured speakers during an event about the benefits of working across the aisle in Congress. “My goal is to find non-partisan, practical solutions to help families get their shot at the American Dream,” Sinema said. For Sinema, the American Dream is rooted in having access to educational opportunities. Living with no running water, electricity or a permanent home for a time growing up planted the seeds for her drive now to work to provide access to education for all children. Sinema’s drive to work with others to achieve increased educational access or any of her other priorities is not limited to cross-party partnerships. She also is an advocate for getting more women elected to Congress. Despite comprising 50 percent of the population, women make up less than 20 percent of the elected officials in Congress and the U.S. Senate combined. There are a total of 535 U.S. representatives and senators, of which 104 are women. Sinema wants to grow that figure to 25 percent, which she defines as the “tipping point” to gaining influence in public policy decisions. Many of those potential future congresswomen in the audience connected with Sinema’s message, which she crafted specifically for PWA attendees. Worden, who has attended PWA events for more than three years, says she keeps coming back to hear from timely speakers on issues that are relevant to Arizonans. Worden plans to continue coming to PWA and recommends it to other professionals. “Come to PWA to up your networking game and have a better understanding of the issues that are front-and-center,” she said. Congresswoman Kyrsten Sinema’s presentation was part of the Chamber’s monthly Professional Women’s Alliance luncheon. Next month, this popular series features a presentation from Sybil Francis, executive director of The Center for the Future of Arizona. Register here.